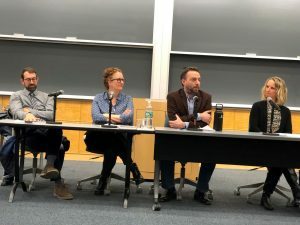 On February 18 at Columbia Law School, three authors discussed the ways in which their respective books shed light on liberalism. 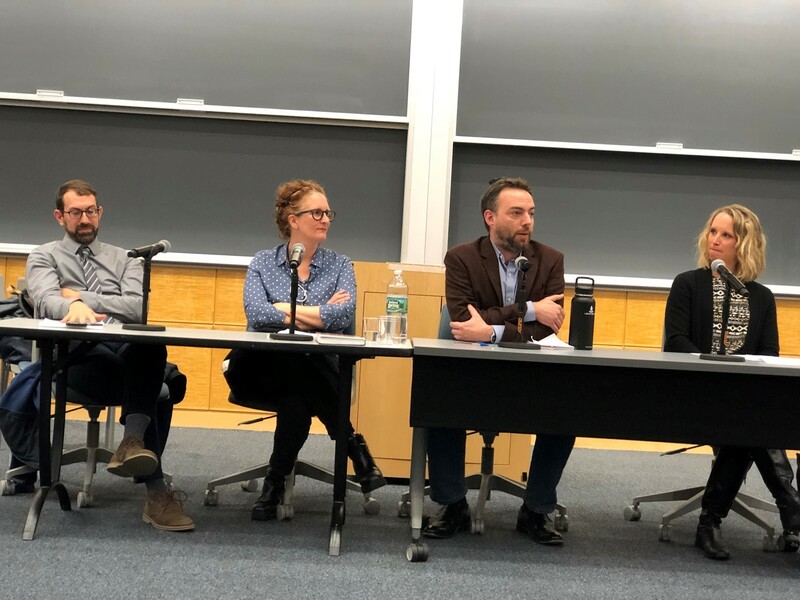 Though each speaker addressed slightly different topics, the common thread was a questioning of U.S. institutions and their connections with economic liberalism, an economic philosophy that supports and promotes laissez-faire economics and private property in the means of production. The first to speak was Samuel Moyn, professor of law and history at Yale, and the author of Not Enough: Human Rights in an Unequal World. He introduced his book by speaking about how interwoven the foundations of human rights are to a neoliberal agenda.“We need to attempt to think of where human rights came from,” as presently “human rights are an inefficient form of bettering the world,” he said. He engaged with the audience by asking them thought-provoking questions such as “why have human rights done so little and why do they fit in so well with a neoliberal economy?” In Moyn’s opinion, pursuing economic and social rights fits well into a neoliberal agenda. Some experts would argue differently, suggesting that a neoliberal agenda actually undermines socio-economic rights, as it reduces entrenched socio-economic rights to formal, procedural guarantees, rather than substantive material entitlements. Thus, rather than fitting perfectly into a neoliberal agenda, socio-economic rights are threatened by the constraints and formalities of politics. 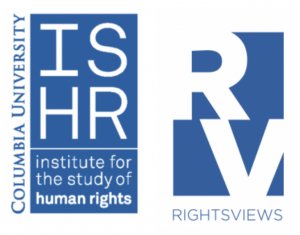 Moyn claimed that the primary limitations of the human rights framework, in its function to advance the world, are that human rights are territorial in scope and offer people only the bare minimum of socio-economic rights. Tonya Putnam, associate professor of political science at Columbia University, and the author of Courts without Borders: Laws, Politics, and U.S. Extraterritoriality, spoke next. She is interested in looking at the behavior of domestic U.S. courts and analyzing in which cases these courts have been willing to regulate conduct outside of the United States. Moreover, she argued that domestic law and foreign policy are associated with each other. Putnam argued that U.S. courts and their decisions are complex and nuanced. She disagreed with views such as those of Jonathan Turley, an American legal scholar who believes that U.S. Courts will exercise their domains based off of economic nationalism. Rather, Putnam assumes a broader analysis to evaluate how legal systems work. Believing that judges are inward-looking, Putnam said, “the likelihood that people bring forward cases to court typically depends on individuals who are being constrained by U.S. rules, and thus, seek to push out jurisdiction to try to undercut U.S. regulations.” This is also seen with international treaties. Jurisdiction is not applied to U.S. actors if treaties have not been ratified. 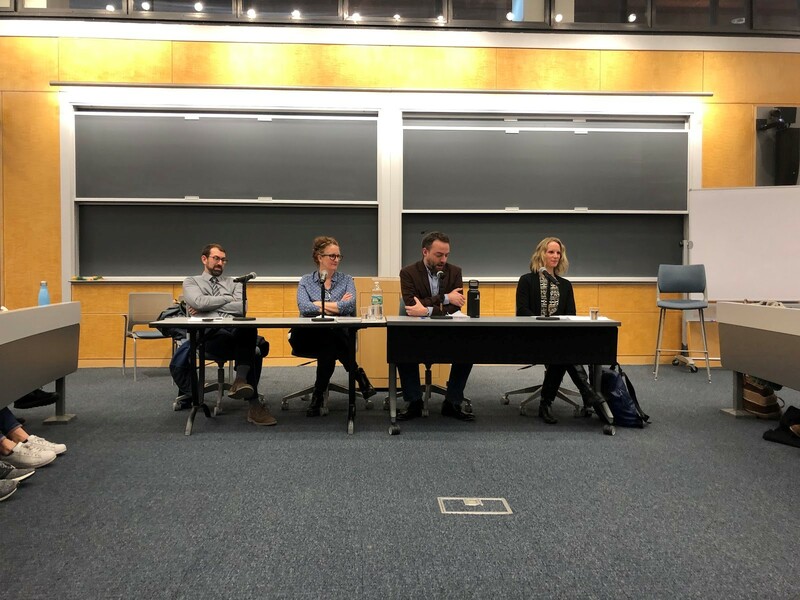 The last panelist to speak was Todd N. Tucker, political scientist and fellow at the Roosevelt Institute, and the author of Judge Knot: Politics and Development in International Investment Law. Tucker’s take was mostly portrayed through the lens of investment law and investor-state dispute settlements. Tucker found that because arbitrations lack precedent, they are reliant on the supply and demand of ideas. Thus, cases will not be addressed unless companies bring them to the table. As a result, “there is a certain level of marketization attached to investor-state dispute settlements,” Tucker said, as the very system depends on companies bringing forth cases in order for judges to try them. This becomes exaggerated when there is no judicial tenure and the reputation of the judges plays a large role in getting more or less business. Tucker stated that a recent phenomenon that we are seeing is people “decrying national emergencies from liberalism, without looking at liberalism as the problem.” He feels as if, moving forward, progressive internationationlism has to be implemented, with a focus on economic features that can have effects on legal orders that can contribute to distributional justice. The talk concluded with the panelists agreeing that bettering institutions to ensure progress is not a matter of improving international legal standards, but rather about the content of the laws that we are choosing to implement. 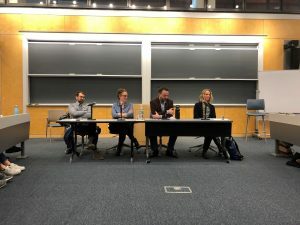 The panelists further agreed that while, for them, human rights standards are not establishing solid enough distributional justice, they are propelling activists and individuals to engage with institutions.